Yesterday, I lost one of the two piggies that got super wet. It was the one that still had slight breath crackling. It was fine outside for a little while, but still much weaker than the other one was. 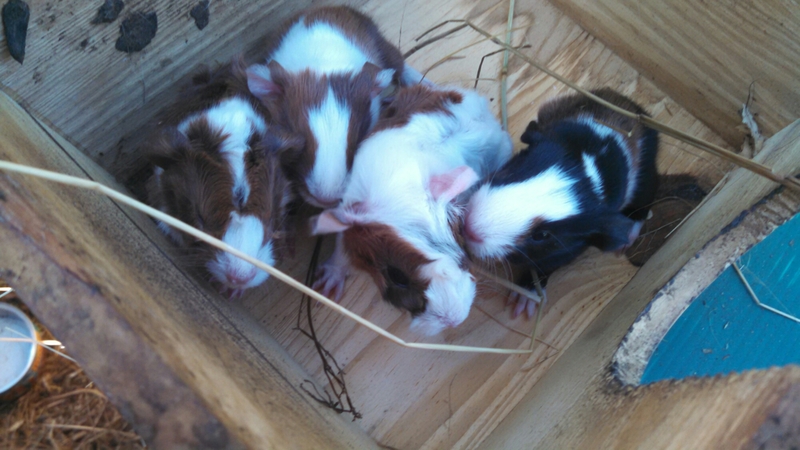 But, in good news, Butters gave birth some time last night to four healthy babies! Three red and white ones, and one that has an orange and black variegated back, with black and white marks. I am really happy with Ron as a sire. I am a huge fan of ginger pigs. This is also Butter’s first successful litter. ← Bring on the Ark!